Many parents remember the "Stranger Danger" message given to children during the 1970s and 80s. Government videos warned children not to talk to people they didn't know. But a new message is being trialled in the UK, which its creators think is better at keeping children safe. "I tried to get the [old] Stranger Danger message across to my son a few years ago and it backfired badly," says Suzie Morgan, a primary school teacher who lives in Fareham, Hampshire. He got frightened and confused, couldn't sleep at night and was worried somebody was breaking into the house. But she felt the Stranger Danger message she was teaching - which she herself had grown up with - was unhealthy for her six-year-old son, making him too afraid of the world. "I didn't know where else to go," she says. So she was hopeful when her son's school piloted a new safety message. It's called Clever Never Goes and was devised by the charity Action Against Abduction. However, it is a message that has not yet been fully evaluated by experts in the field, some of whom have reservations. And for many parents the new teachings may be difficult to accept. The Stranger Danger message is still deeply ingrained in their psyches. The old message was promoted by the government during the 1970s and 80s, in a series of hard-hitting films commissioned by the Home Office. It followed a spate of high-profile abductions and killings, including the Moors and Cannock Chase murders. There were stark warnings such as: "You don't want to end up dead or in hospital, say 'No' to strangers!" Children were told to "keep away from people you don't know". 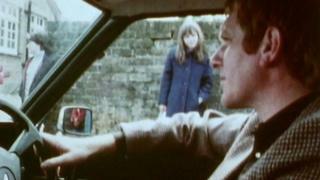 The films were given to the British Film Institute and you can watch the 1971 and 1981 films online. But there were reservations among civil servants at the time and some worried children's fears were being heightened to an unhealthy degree, according to Geoff Newiss of the charity Action Against Abduction. Newiss researched Stranger Danger as part of a group assembled by the National Crime Agency four years ago. It inspired him to devise a new safety message for children, which he thinks is more fit for purpose - not least because the majority of abductions are committed by an adult already known to the child. With approval from the police and children's safety boards in the county, more than 150 schools are now signed up to teach Clever Never Goes in Hampshire. A key message of the workshop is that interactions with strangers are not necessarily dangerous. Instead, the moment children need to be wary of is when an adult, including ones they already know, asks them to go somewhere with them unexpectedly. This is what police call "the lure". In an interactive class, children are introduced to a character called Clever the Robot. He has a special power for spotting danger, with a dial on his chest that reads "Safe, Hmmm?, Unsafe". Children watch a series of videos showing scenarios with adults approaching children, and they have to decide how to react. Some scenes are reminiscent of the old Stranger Danger videos. A man pulls up in a car and offers some sweets and a ride. Of course the clear message remains that this is unsafe and children must move away and find a trusted adult. But there are also scenarios where interactions with strangers are described as benign. A man approaches a child in a park and chats about his dog. Pupils in the workshop are asked if this is OK, and the answer given is that this is not an unsafe situation though children might feel a bit "Hmmm?". In a later video the scenario is extended with the stranger asking children to come with him to walk the dog. Children are taught things have now turned unsafe, "because he's asked them to go with him and that's not good, Clever Never Goes." There is another scene where it is a woman who is offering a lift - the message is not to go, if this is not pre-arranged, even if it is the mother of a friend. In the old Stranger Danger videos, the strangers were portrayed by men. The new message "triggered something in me, leading back to when I was a parent raising children," explains Jacky Halton, headteacher at Crofton Hammond Infant School in Hampshire, where the workshop has been developed over the past two years. "I didn't want my kids to be wary of every stranger they met." As the teacher tells the class of five- to seven-year-olds, "Lots of people are strangers that we don't know, but lots of people are very kind and friendly people and we can talk to them and be friendly." Someone who is used to delivering the old Stranger Danger warnings is PC Maria Carrick, who leads engagement with schools for Hampshire police. She was never fully comfortable with the message. "It just felt very confusing for children to understand what a good stranger is, or a bad stranger." The old message tended to demonise all strangers and this is not necessarily helpful for the child, she says. While parents have a natural fear of the predatory stranger, she thinks, Clever Never Goes addresses a more realistic risk. "We have to remain focused on the fact that most of the high-profile murders we know from the past 10 years were children who knew their killer." By focusing on the moment of "the lure", Clever Never Goes aims to address this issue. Clever Never Goes is also designed to help with the increasing threat of online strangers. Many computer games popular with primary-school-age children involve live online chatting. People you meet this way might not feel like strangers, the workshop warns, but you never agree to go anywhere with them in real life. There is a consensus among experts in children's safety and development that the Stranger Danger message is outdated and due an overhaul. Clever Never Goes is certainly a step in the right direction says Dr Gina Sherwood, principal lecturer in Childhood Studies at Portsmouth University. But she also has some reservations. "The tag 'clever' implies it is the child's responsibility to keep themselves safe and if they did make a mistake it would be as if they are not clever." She has concerns this could be an issue helping a child to recover after an abduction.There is also potentially a danger in allowing unsupervised contact with strangers to build up over time, she says. For instance, a dog-walking stranger could chat to children in a park on several occasions, without asking them go anywhere. This could build up trust that a malicious person might capitalise on. The hope is that children who adopt Clever Never Goes should still be resilient to this grooming, if they remember not to go with anyone unexpectedly, even if they are familiar faces. Without research the new message cannot be endorsed by academics, says Dr Sherwood. The next stage is to evaluate it. But can children, who live in a magical world of Father Christmas and tooth fairies, really be trusted to make fine distinctions between safe and unsafe strangers? "Absolutely," says Halton. "We are failing in our job if we don't give children responsibility for their own actions." She is wary of a trend towards "lawnmower parents", who sort out all the problems in front of their child, so children never have to figure out how to do things for themselves. Newiss agrees that we have to give children the tools to manage their own risk. When you look back at the Stranger Danger message, he says, there was a sense that "a bit of fear won't do them any harm". "I think that's wrong. Fear just knocks their confidence."